GOLF NOW! 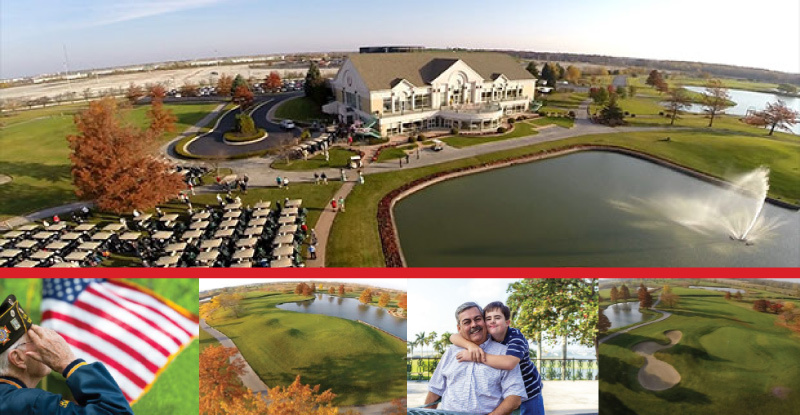 Chicago March Newsletter – Winners Announced, U.S. Senior Open Championship At Notre Dame, Get Golf Ready With Bill Abrams! Winners Announced, U.S. Senior Open Championship At Notre Dame and Get Golf Ready With Bill Abrams! Spring is around the corner and golf is almost here as well. Are you ready to hit the links? 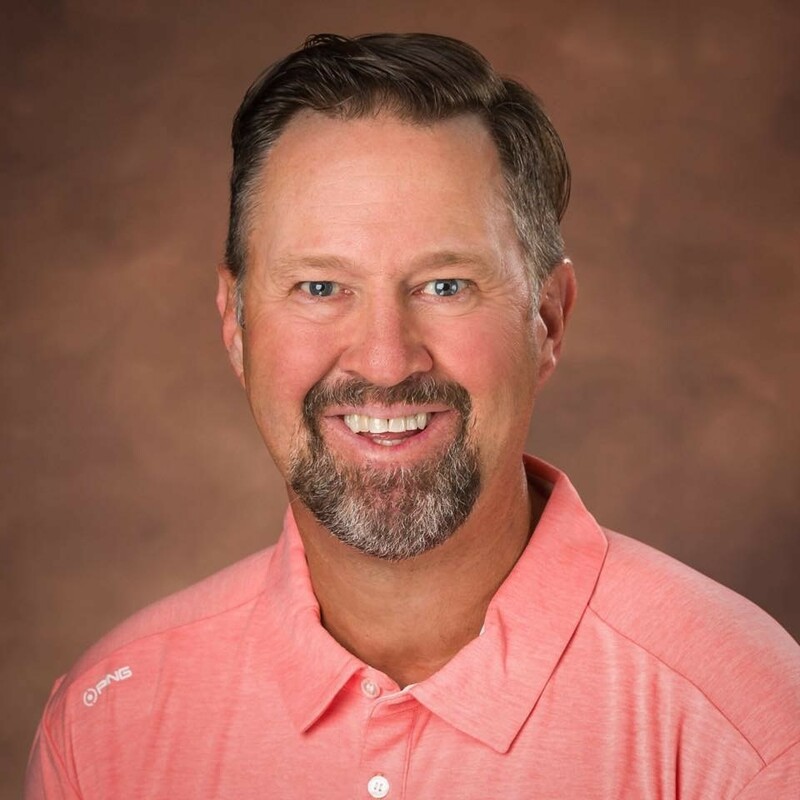 Well known PGA Professional and award-winning Golf Instructor, Bill Abrams, helps to get your game back on track and ready for the course in no time. Check out the lucky winners of our giveaways at the Chicago Golf Show. Did you miss the show? If so, you can still enter for a chance to win our “VIP Experience” to the upcoming U.S. Senior Open Championship at www.golfnowchicago.com. Be A Part Of Golf History! Get Involved And Give Back! Become A Volunteer For A Major USGA Championship! Volunteering for a USGA championship puts you right in the middle of the action. Here's the opportunity of a lifetime to be on the front (rope) lines as we crown the 40th U.S. Senior Open champion in June. Spots are filling up quickly, but there’s still time to join a team 2,500 strong. Excitement is growing as March 19 marks the 100 days countdown until the ultimate test in golf comes to Notre Dame’s Warren Golf Course. Don’t miss your chance to be part of history. Join the Team Today – CLICK NOW! Get your tickets now! 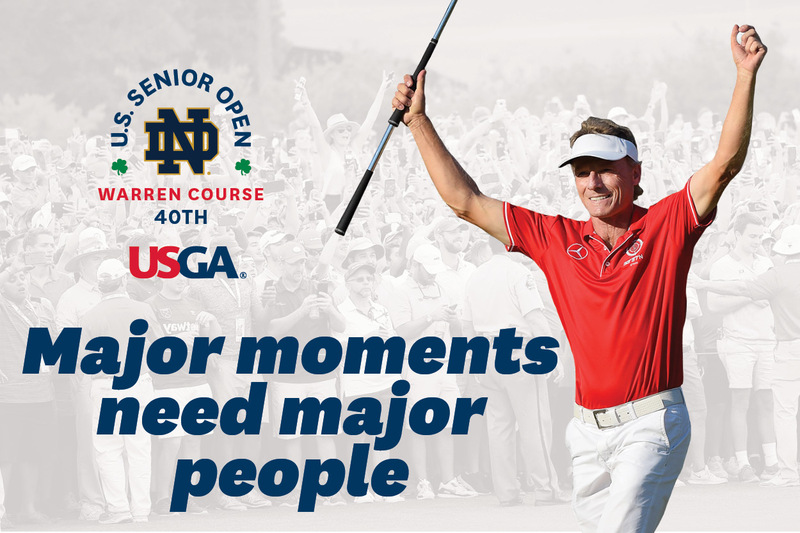 Be a part of golf history as the U.S. Senior Open Championship comes to the Warren Golf Course at Notre Dame for the first time ever! Click below and buy your tickets now for this exciting event at Notre Dame! Go green and think spring! Explore Ticket Options – CLICK NOW! Chicago Golf Show Prize Winners! A big thank you to all who stopped by GOLF NOW! Chicago’s Booth #807 and registered for one of our fabulous giveaways, all compliments of our advertising partners. See the list of giveaways below with all the winners listed next to the giveaway. 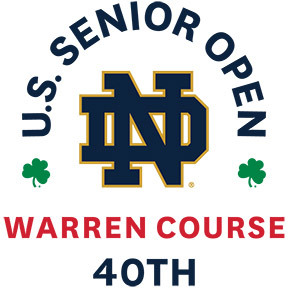 All those who registered also will be entered for a chance to win an exclusive VIP experience to the upcoming 2019 Senior Open Championship at The Warren Golf Course At Notre Dame on June 24-30, 2019! Get Golf Ready Now With PGA Professional and Teacher Of The Year, Bill Abrams! Well, the woodchuck says it's going to be golf season sooner than later here in Chicagoland. Now is the time to think about and more so prepare for the upcoming season. This piece will discuss a few ways to prepare so you may be ready to play well right off the bat. Read Bill's Full Article On Tips To Get Golf Ready Now! Odyssey Golf Foundation Open To The Public ... Golf For The Greater Good! Many know that the Odyssey Golf Foundation is doing many wonderful things for veterans, active military members and individuals with disabilities. New for the season are many new offerings to help everyone get involved in giving back and helping others! Read The Full Newsletter And Get Involved To Help Others! 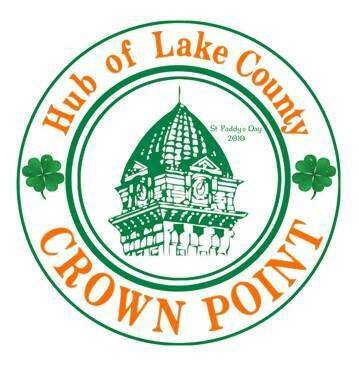 The best “night-time” parade and festivities on St. Patrick’s Day can be found in Crown Point, Indiana! Celebrate St. Patrick’s Day at the historic square for small town atmosphere with large amounts of fun, food and festivities! For more information, visit www.crownpoint.in.gov. One of the busiest and best-attended golf shows in the Midwest is the Michigan Golf Show in Novi, Michigan. Stop by the Travel-Ad-Service Booth to pick up your copy of our 2019 GOLF NOW! 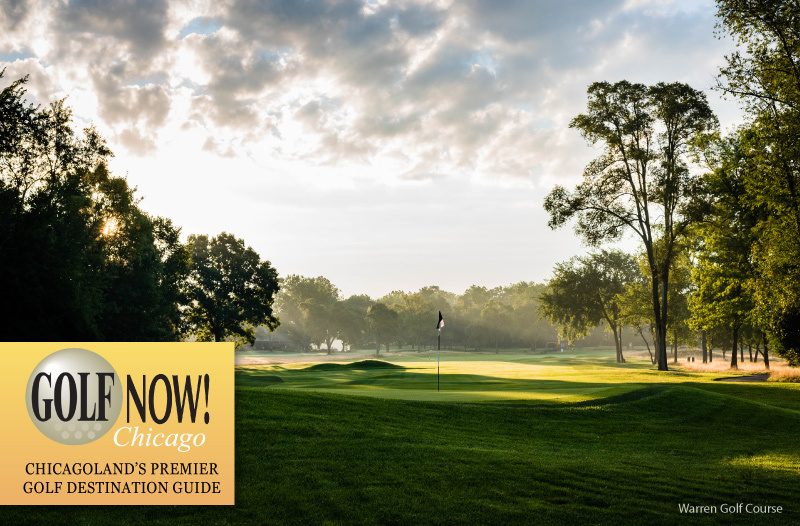 Chicago, Chicagoland’s Golf Destination Guide – in case you missed the Chicago Golf Show. 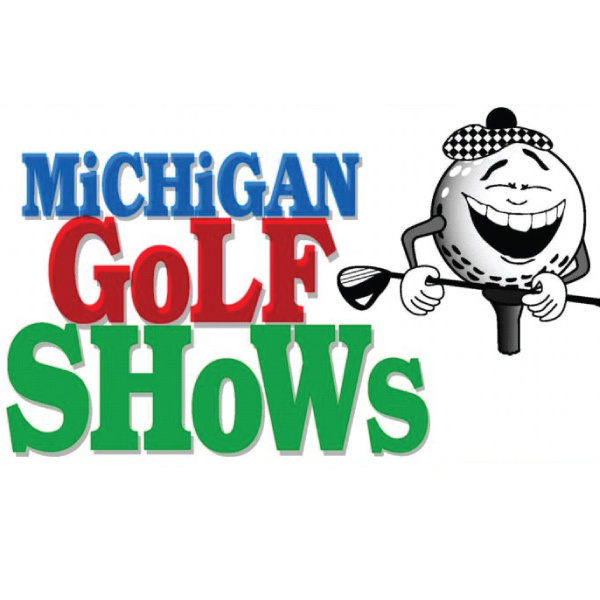 The Michigan Golf Show kicks off their golf season highlighting over 400 exhibitors including retailers, resorts, travel destinations and over 100 Michigan golf courses! Learn more at michigangolfshow.com. Bulldog Park --- Crown Point’s Newest Sports, Festival & Event Venue! Crown Point’s downtown Square is a hot spot for area residents and visitors from all over during the summer months for weekly sporting events and fun festivals! The newest and most exciting sports, festival and event venue will be completed and fully open this summer! 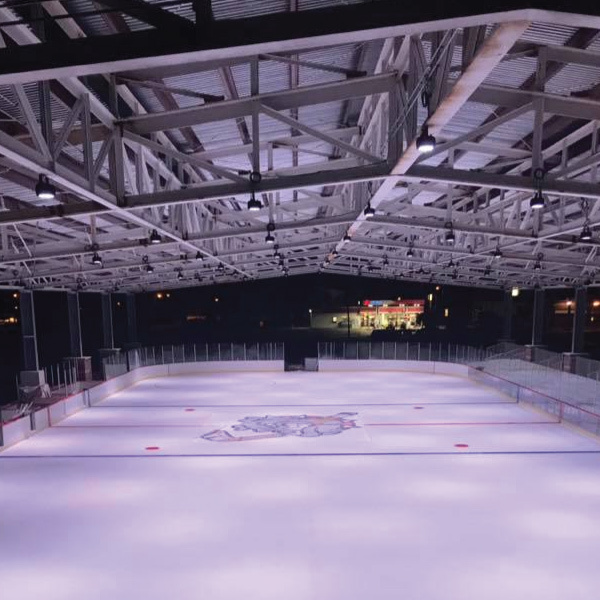 The NHL size hockey rink opened in the latter part of 2018 to thousands of excited skaters. To check out the latest news and other information, visit www.crownpoint.in.gov.